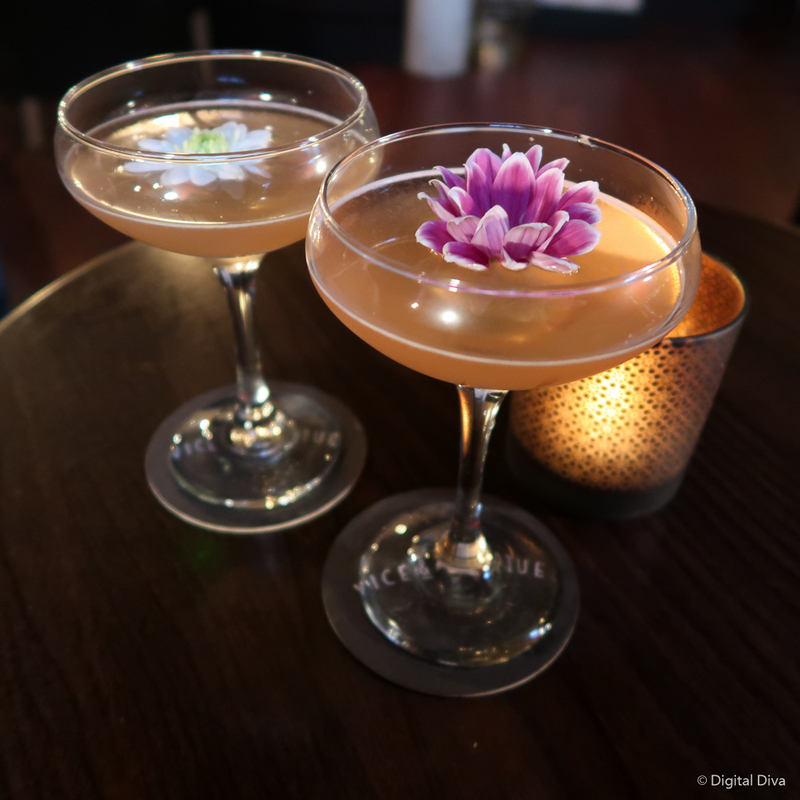 Vice & Virtue is a bar/restaurant in Leeds’ new ‘cool quarter’…you know, the bit where Belgrave and Sandanista are? It used to be a bit rough around there…lots of lap dancing bars. Now it’s the hip place to be. Times are changing. 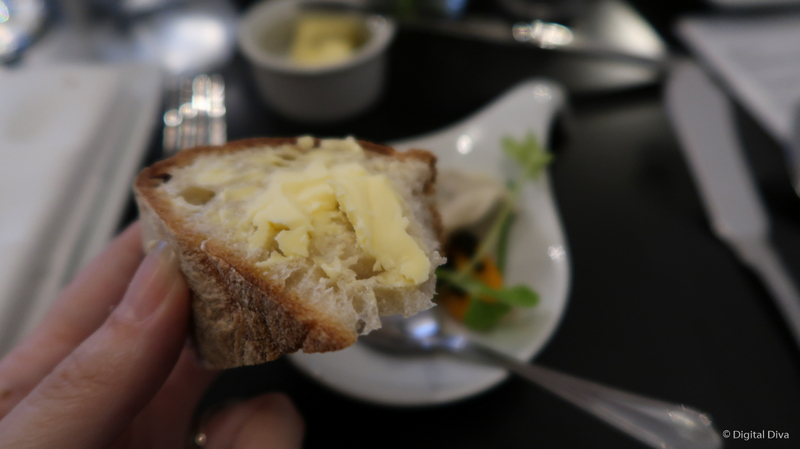 We were invited to pop along and try the new restaurant by Luke Downing, of Dough Bistro fame. I’ve never eaten at Dough, but I’d heard good things. This is billed as Leeds’ new fine dining restaurant, which is setting the expectations pretty high. I’d seen the Instagrams before going, so that did contribute to my high expectations too, it has to be said. We were greeted with a cocktail called “Rose’s Vice”. it was a lovely whiskey sour…well made and very tasty. Just what I’d expect from a bar that gets rave cocktail reviews. 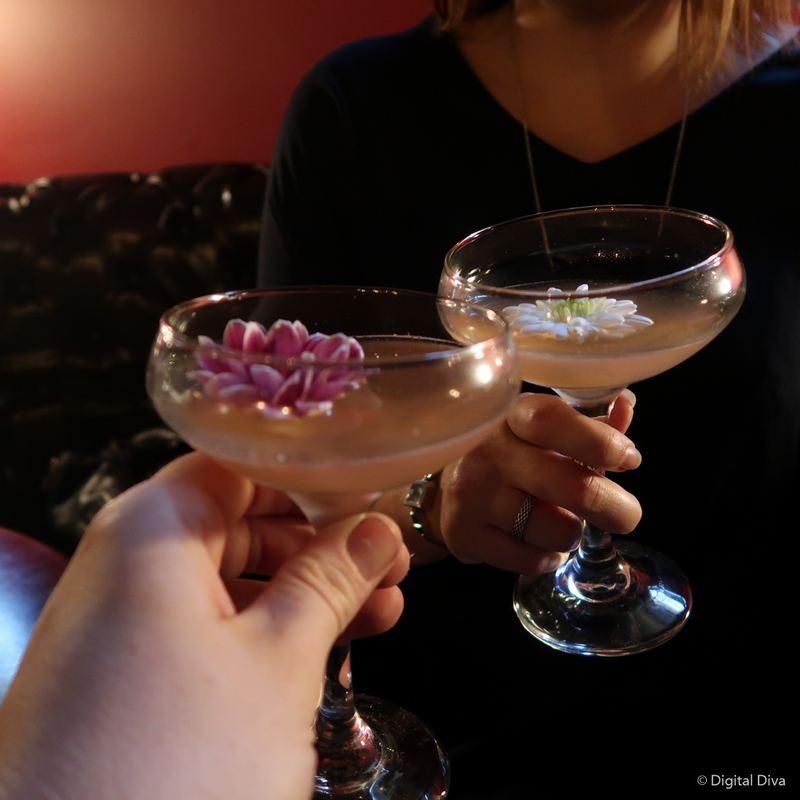 We sat in the bar on the first floor for a short while sipping on these before being taken up to the second floor restaurant to eat. The waitress took our drinks orders and we did have some confusion over the wine. 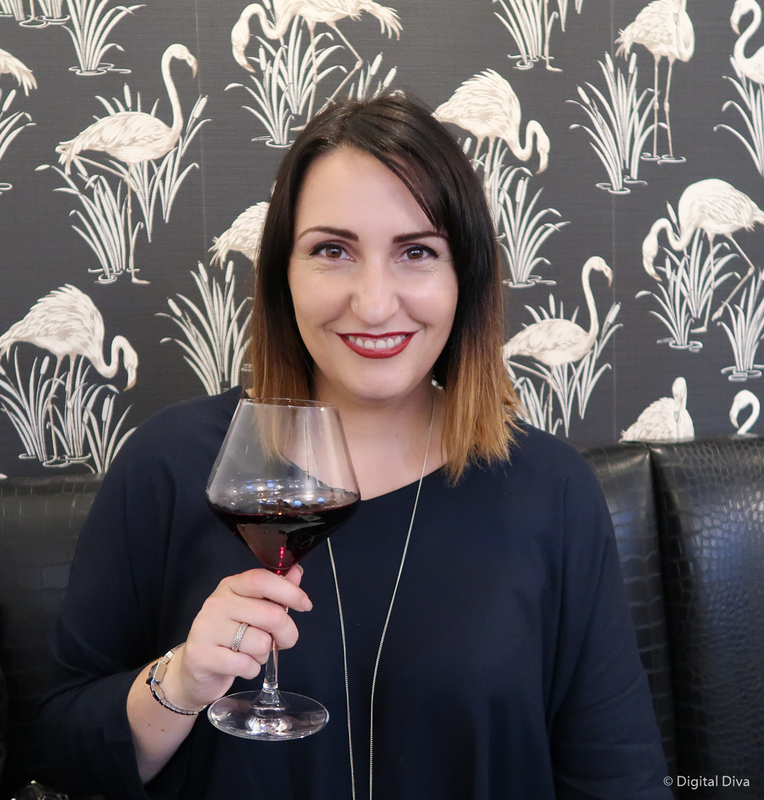 She said the house red was a wine called “chanty”…I figured it was one I’d never heard of, but I’d go for it. When the bottle arrived, we realised it was Chianti. I explained so she didn’t make the same mistake again…bless her! Her lack of wine knowledge was made up for by her knowledge of the food, this was great. 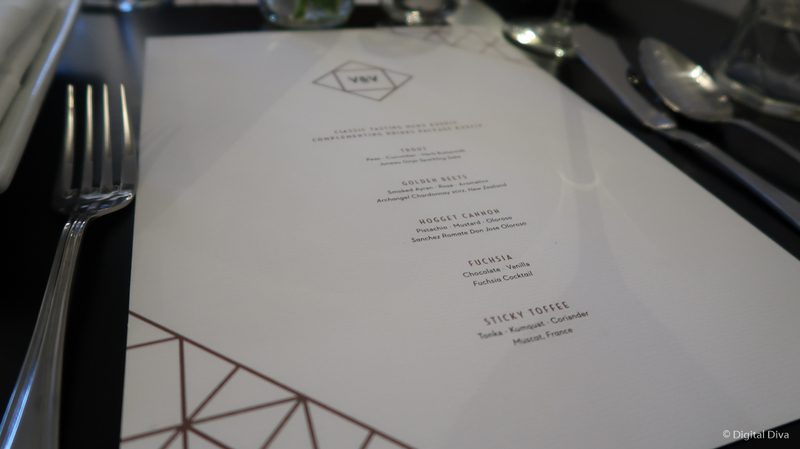 Overall, I loved the food at Vice & Virtue. There were a few things I didn’t think they got quite right…but there was much more that they really did. It was served with a spoon…but it was fairly hard, so we were unable to cut it with a spoon (it was bigger than a mouthful), so we spent a bit of time chasing it around the plate. We couldn’t really taste the truffle either. Combined with being given a small doorstep of a bread piece to eat which was hard as a rock, we were off to a disappointing start. 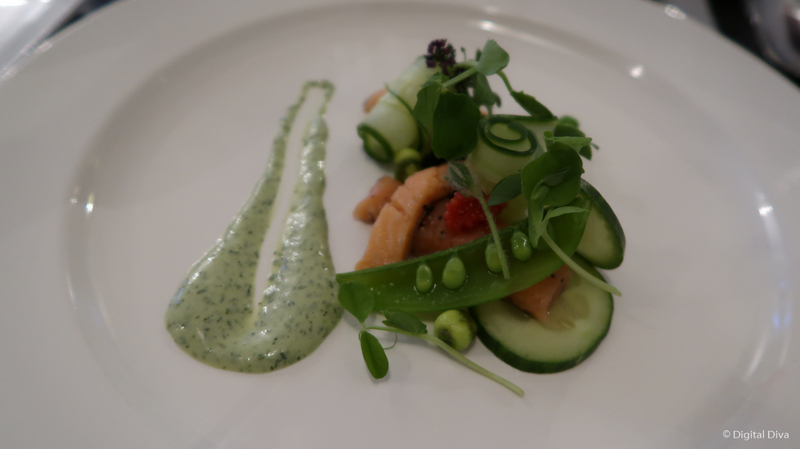 I absolutely adored the trout…it tasted beautiful. My mouth is watering just typing this! Cooked beautifully and the flavours were fantastic. This was starting to feel more like the food I expected. This was a fabulous dish! 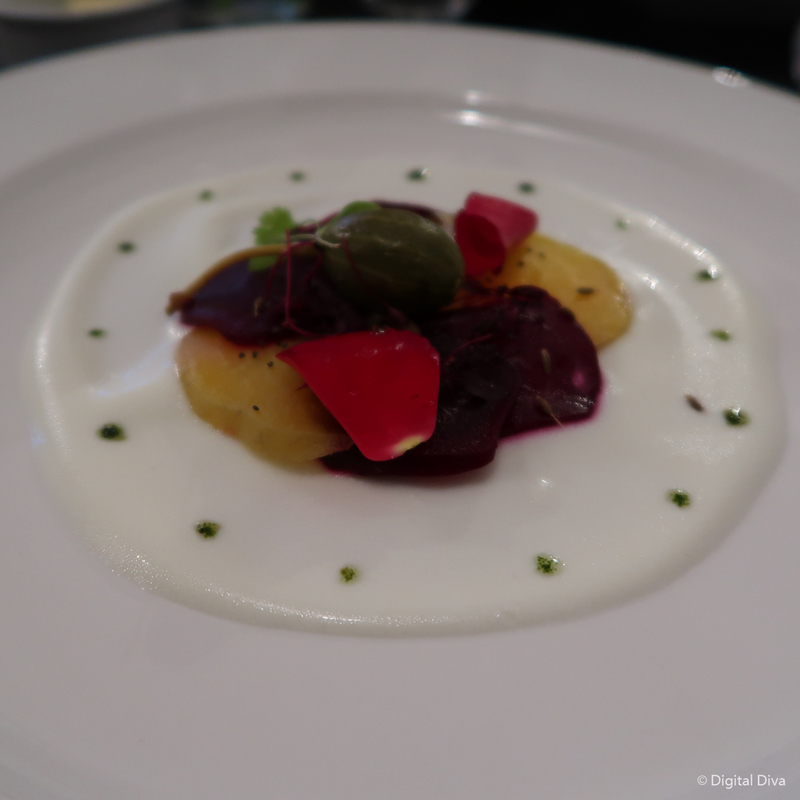 The earthiness of the beetroot with the smoothness of the yogurt was fab, the flavours bounced around. But, the aromatic smoke was the star of the show for me. 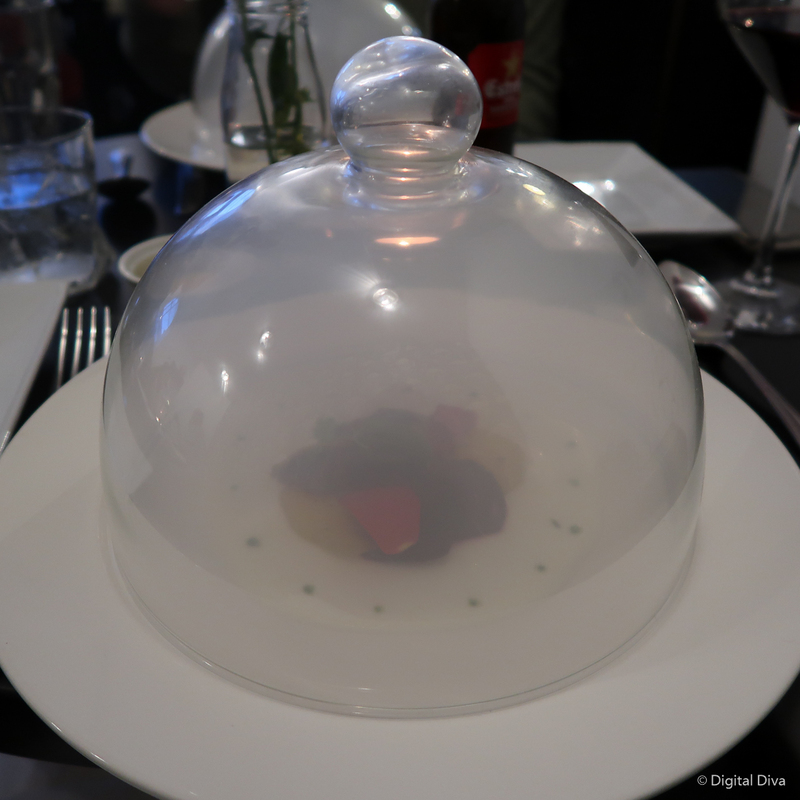 The plate arrived under glass cover and when lifted brought a blossom of aromatic smoke upwards. It was Heaven. 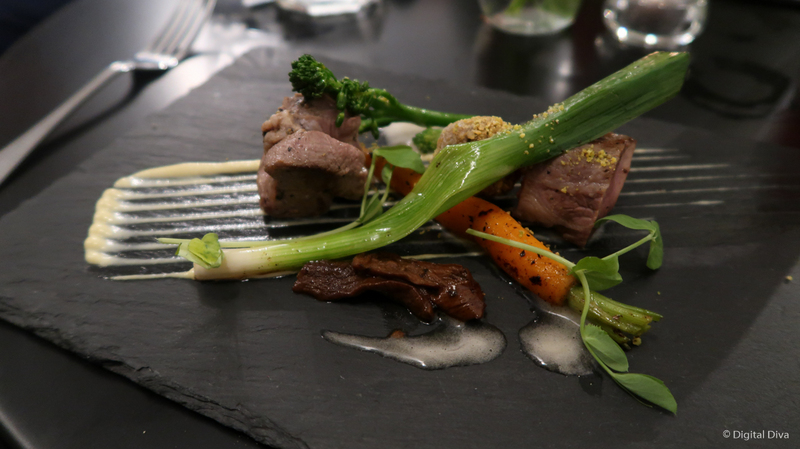 Another great dish, the lamb was cooked beautifully. Maybe a touch more sauce was needed… the lamb in pistachio was a bit dry. The spring onions and carrots were al dente. Just how I like them. Perfect. Really great dessert. 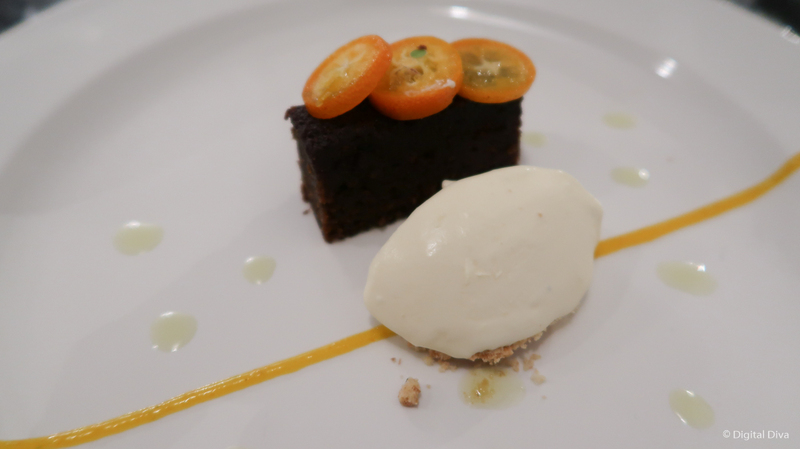 The sticky toffee was wonderful and the clementines were lovely and sharp to contrast. Not as pretty as the previous dessert, but I thought it was tastier. What does Vice & Virtue look like? An interview in the Yorkshire Evening Post reveals that Luke hasn’t wanted to shy away from the fact that the building used to be a Gentlemen’s Club…he wanted to keep elements of it, rather than hide from it…and give it a “1940s Moulin Rouge-type, art deco feel”. The bar on the first floor definitely has that nod to a lap dancing bar, without being tacky. Nicely done. 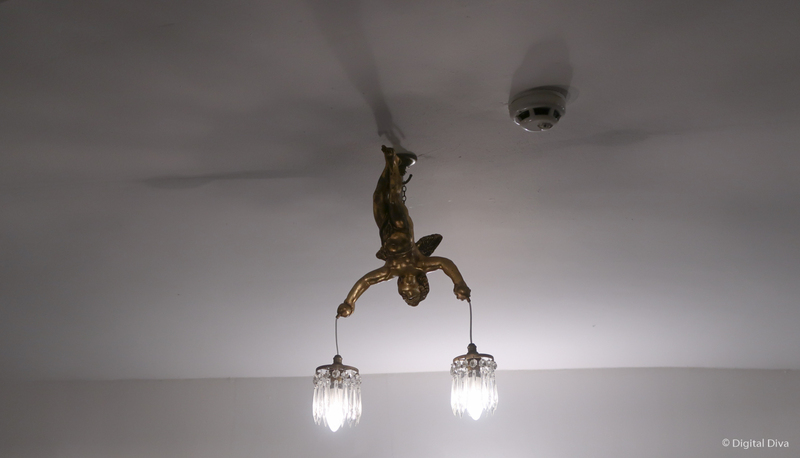 I wasn’t overly fond of the decor upstairs in the restaurant though. To me, it felt a bit bizarre and unfinished. 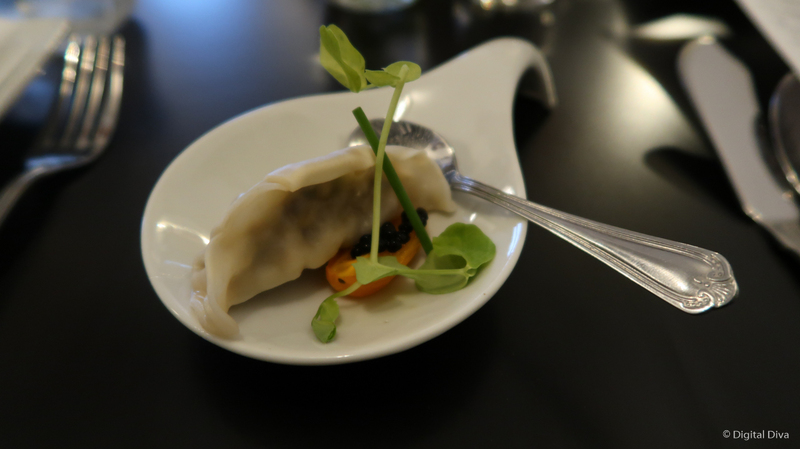 Different styles clashed and it didn’t feel like the class of restaurant the food was trying to be. The lighting was quite bright meaning the atmosphere wasn’t all that cosy and it didn’t shine well on the mock-croc seating. I think if you’re going to go for that style, then go for it…do it a little more opulently and embrace the theme. It just feels a bit bare and cheap looking in places at the moment. The bit I’d really prioritise changing? The stairs up to the bar and restaurant. They are the standard office style stairs and they don’t feel right for a place with great food. Interiors are a personal thing…so yes, I’m being pretty harsh in saying what I’m not keen on…I’m sure there will plenty of people I’m sure who won’t ever notice these things. I do love these lights below…more of that please! It’s not a big restaurant…it feels a bit more exclusive than sitting somewhere too expansive. For me, if you get the interior to match the food, I think it would work so much better. The service struggled to keep up a bit throughout the evening, with lots of dishes meant for other tables being brought to our table. This might have been just early hiccups. I’d go back, yes. 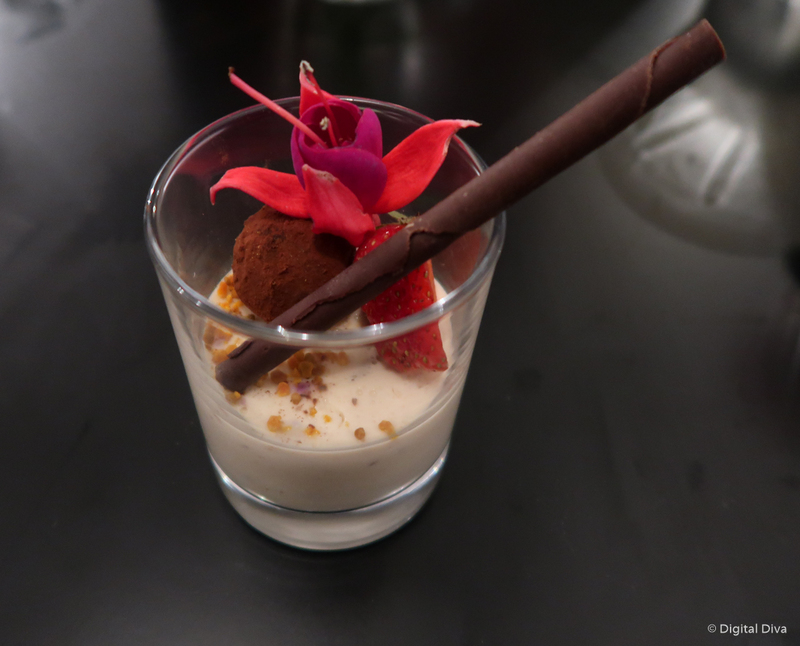 Apart from the amuse Bouche, I thought the food was great. I’d like to see how often the menu changes…if it’s fairly often (e.g. once every month or two…or more often) then that would tempt me back to keep trying what they were making. I think £35 is good value for the level of food that you’re getting. 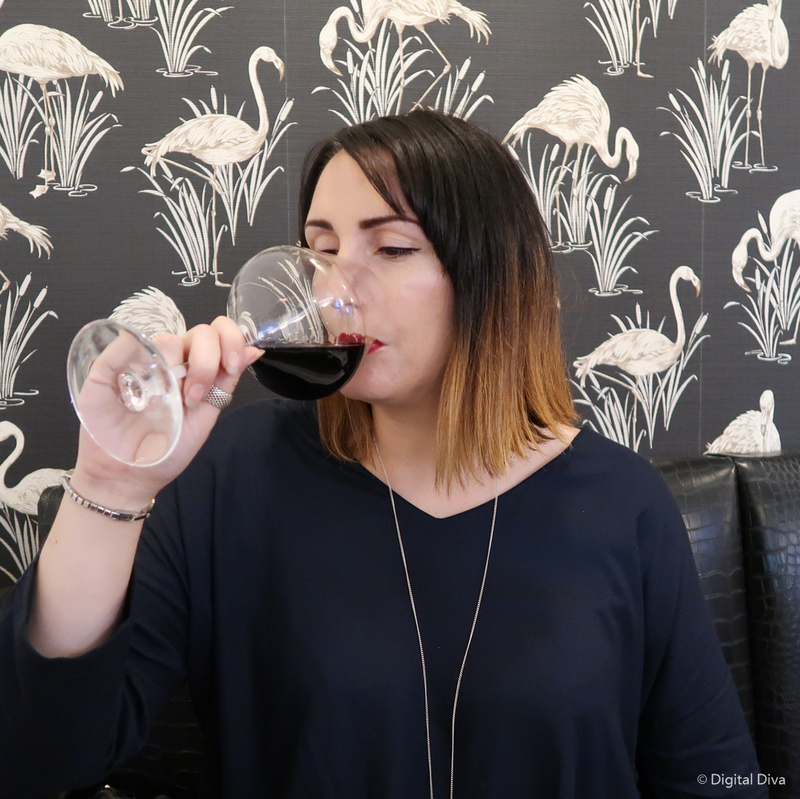 For an extra £25 per person you can add on wine pairings, but this wasn’t part of our review evening…so I’ll let you try that for yourself. They have a rep for good drinks, so I’m sure it’s great. They do have a gin night coming up which I would definitely book on for myself, but we’re away. If you love gin, get on this! I’m pretty impressed with their social media, whoever is managing it makes sure all the photos are great…they make your mouth water. Top marks to that. Vice & Virtue’s website is here. Book a table for yourself and let me know what you think! * Please note that our meal and first cocktail was complimentary for review purposes. My opinions are, as always, my own. Previous Post I need more sleep!